Bushwood Golf Course offers both an 18-hole Championship Course and a nine-hole Executive Course. Bushwood offers some of the most affordable golf in the area. The 18-hole course is a manageable 6,500 yards from the back tees, making it approachable for players of all skill levels. It has a traditional parkland design that is player friendly enough for beginners. The 18-hole Cresthaven Golf Club in Markham, ON is a public golf course. Cresthaven Golf Club measures 2637 yards from the longest tees. The course features 2 sets of tees for different skill levels. Bushwood Golf Course in Markham has both an 18-hole Championship Course and a nine-hole Executive Course. 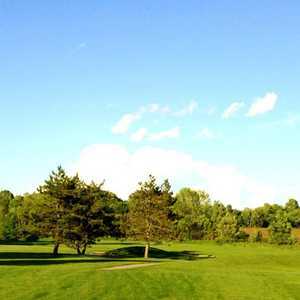 It's become a popular Toronto golfing destination because of the affordable rates. The Executive Course at Bushwood is the perfect round for juniors and novices to get some good practice. It is just challenging enough to double as a fun, quick nine for more advanced players. Mandarin Golf & Country Club offers a beautiful backdrop for a round of golf with its location in the midst of mature stands of old Canadian pine and fir. Doug Carrick designed the course with small, rolling greens and generous fairways to create a layout that is both player friendly and challenging. The 18-hole Markham Golf & Country Club in Markham, ON is a private golf course that opened in 1980. The 9-hole Markham Green Golf Club in Markham, ON is a public golf course that opened in 1940. Markham Green Golf Club measures 3008 yards from the longest tees and has a slope rating of 125 and a 34.5 USGA rating. The course features 3 sets of tees for different skill levels. The 18-hole Angus Glen Golf Club - North in Markham, ON is a public golf course that opened in 2001. Designed by Jay Morrish and Doug Carrick, Angus Glen Golf Club - North measures 7403 yards from the longest tees and has a slope rating of 143 and a 74. The 18-hole Angus Glen Golf Club - South in Markham, ON is a public golf course that opened in 1995. Designed by Doug Carrick, Angus Glen Golf Club - South measures 7407 yards from the longest tees and has a slope rating of 143 and a 76 USGA rating. 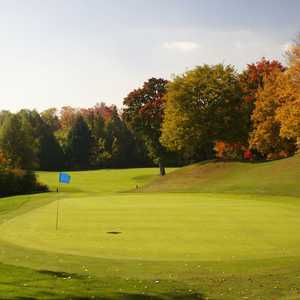 The 18-hole Remington Parkview Golf & Country Club - Valley in Markham, ON is a public golf course. Remington Parkview Golf & Country Club - Valley measures 5629 yards from the longest tees and has a slope rating of 112 and a 66.3 USGA rating. The course features 3 sets of tees for different skill levels.